MDP Michel Desvigne Paysagiste is a landscape architect and urban planning firm based in the heart of Paris. For thirty years, it has been working in the field, developing its approach and research, often in collaboration with public institutions, as well as with prestigious international architectural firms. The projects MDP has taken on range from the planning and development of gardens and public spaces to that of vaster urban and regional territories. By their very nature linked to the passing of time, these projects sometimes take decades to develop, requiring the application of inventive and collaborative long-term strategies. 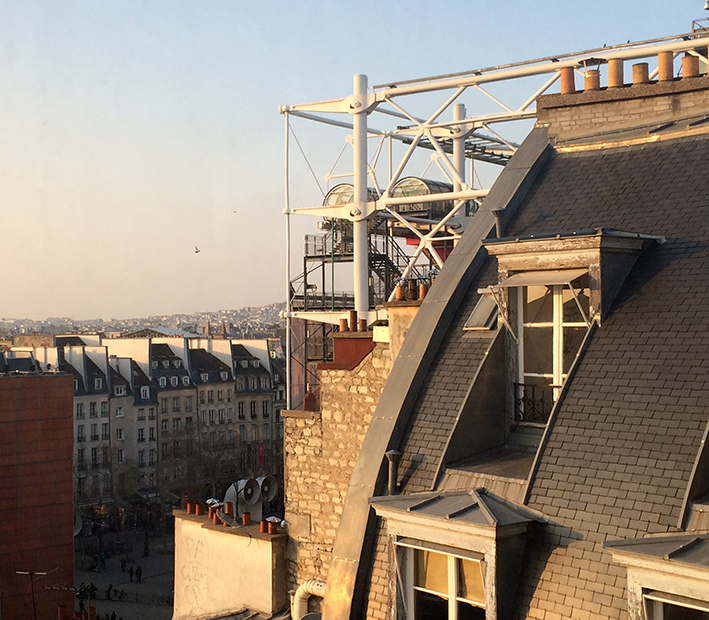 For more than twenty years, MDP has been located in the center of Paris, just a few steps away from the Pompidou Centre. A significant number of the projects the firm takes on are situated far away, distributed throughout the world in numerous countries. The roots the firm has in the heart of the French capital is an important part of its identity. Its offices have expanded, now taking up a floor and a half above the famous roofs of the city. 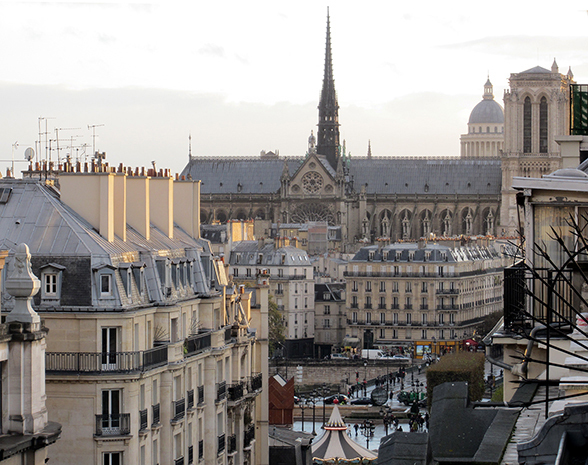 The firm remains closely attached to Paris, to its spirit and public spaces. MDP is a firm of landscape architects and urban planners. Renowned for the high standard and rigor of its work and designs, the firm has been developing its research for thirty years, often working in collaboration with public institutions, as well as with prestigious international architectural firms. MDP has developed projects and transformative strategies in more than twenty-five countries since its foundation, and is currently working in sixteen countries. The many international and local collaborations proceed hand in hand with the concentration of resources in Paris, essential to project design. The firm comes to function as a genuine workshop of creativity, where an exchange of ideas is continually taking place between the different teams. Despite the fact that in terms of size, MDP is one of the largest landscape architect firms in France, it protectively maintains its traditional character and its sense of flexibility and relaxed approach. The numerous projects taking place simultaneously (around sixty projects currently in progress) explains the organization of the studio into “micro-firms”. Around thirty people work together, divided into seven teams. The firm includes landscape architects, architects, urbanists, and engineers of widely various background and training (having come from fourteen different countries since the firm began). MDP has significant experience in handling new and unknown situations, oftentimes at a great distance, with an administrative structure prepared in helping bring about productive collaborations. Knowing how to join forces and work in partnership with the many other actors of a project, whether it be institutions, architects, or engineers, MDP can function successfully in all areas of the world. This principle of organization is consistent with the intellectual approach: to maintain a collaborative relationship over time with the actors responsible for a territory. MDP is interested in the res publica. Much more than a professional distortion or a specialization, it is almost a necessity. The aim is to play a part in the formation of a common territory, transforming landscapes produced by society. Past and present traces of society's activities inspire and help foster the design. Above all, MDP aims to help society envision other ways of occupying and constituting the territory. It aspires to give an area meaning, and at the very least legibility. The rare project involving a private garden embodies a prototype that strengthens the ongoing general reflection dedicated to public and common space. By their very nature linked to the passing of time, projects sometimes take decades to develop, requiring the application of inventive and collaborative long-term strategies. MDP works to establish a meaningful, continuous, and lasting collaboration with the other actors of a project, a triangular rapport between the various other members of the project team (architects, urbanists, engineers, and environmentalists), the client, and the politicians. Renowned for its conceptual contribution in terms of the transformation of territories, MDP often finds itself and its interventions in advance of large-scale studies. The composition of landscapes by MDP is elementary. It does not entail any heroic feats of execution or any extravagance. So it is distinguished by a certain poverty. It is not a deliberate desire for an architettura povera, but rather the option of rusticity. It is a rigor that stands out, that requires innovation, in the sense of an architecture that is, at the least, visible. This does not entail any theoretical minimalism, but rather a kind of patience and resistance: to stand fast and refuse to give in to easy opportunities. To refuse to get bogged down needlessly or prematurely give an illusory “polish,” out of a lack of confidence about the “landscapes in development”. To refuse to destabilize, sully, or upset the stages of these maturation processes. Also, and above all, to refuse to show this work through stereotyped images. The use of the vegetal is a commonplace in landscape architecture. But how the vegetal is used by MDP, through its management over time, is unique, with the setting up of long term processes of transformation employing an economy of means. For years, MDP has enjoyed designing landscape through this play of varying densities. As these densities vary over time, they help organize the space, creating a kind of formal support. MDP participates in mutually beneficial collaborations with many prestigious architects and urban planners, for a number of demanding interventions. Working together always proves to be a valuable intellectual challenge, with an enormous amount of productive exchange. Collaboration feeds on the numerous exchanges, the meetings, the work in Paris and abroad, that take place over time, creating a collective experience for all actors involved. MDP has worked in this way, in some cases for more than twenty years, with many internationally renowned architects, including Renzo Piano, Norman Foster, Richard Rogers, Jacques Herzog and Pierre de Meuron, Rem Koolhaas, and Jean Nouvel, as well as with younger architectural firms such as Inessa Hansch Architecte. The landscape architect clearly does not create alone. The multidisciplinary approach has become the rule, not only with regard to working with architects and urban planners. MDP gives importance as well to working in partnership with experts from other disciplines, in particular geography and agronomics. The firm always works in collaboration with specialists, particularly in the areas of soil, plant life, infrastructure, networks, and light, among others. The very important technical and conceptual contribution of the engineers in particular allows for the successful unfolding of projects. The international dimension of many projects, with several engineers from different nations working together, creates an environment where not only the overall focus of the project is heightened, but where the technical intervention is enhanced as well. A number of projects have provided the opportunity of fruitfully collaborating with such artists as Daniel Buren (Places des Célestins, Lyon), Ricard Serra (Museum of Islamic Art, Doha), and James Turrel (Walker Art Center, Minneopolis). MDP is structured in such a way as to facilitate the numerous conversations and exchanges that take place between the firm and philosophers and architectural critics, notably the ongoing discussions with Gilles A. Tiberghien, Dorothée Imbert, Sébastien Marot, Françoise Fromonot, Ariella Masboungi, and various editors-in-chief of architectural magazines. This time of dialogue is important, enabling the firm to take a little distance from its work and examine its practice from a different perspective. MDP strives to alternate its modes of representation. This alternation sets into motion a process where analysis, proposal, and verification continually repeat. Freehand sketches, 3D models, texts, drawings, and computer generated images are all produced by the firm. The aesthetic, meaning, and efficiency of these various representations are put into mutual confrontation and continually evolve as a result. In a pragmatic manner, they are put forward hypothetically, subject to a repeating optimizing process with the goal of better developing the project. In 2014, the National Museum of Modern Art (Pompidou Centre, Paris) acquired a collection of drawings and models of MDP, which were displayed together in an exhibition. The modes of representation that define the work of MDP can be recognized by their unique aesthetic. There cannot, however, be any ambiguity as to their classification. They belong to the realm of landscape architecture and not the plastic arts. The limits of the available regulatory documents are well-known. The complexity involved in the transformation of a territory requires the creation of individual case studies. The completion of “prototypes” provides a basis from which the steps towards territorial transformation can be made. These prototypes become a collective source of experience from which to draw, providing knowledge not only with regard to the procedures of a project, but as well with regard to the choice of materials. They function as a sort of empirical pedagogical resource. Experimentation is inherent to the profession. MDP puts its practices to the test continuously. Planting, observing what works and what does not, shifting, removing - the long time in which it takes projects to unfold works here advantageously. The firm would like to generalize this approach, applying it to questions of water management, lagooning, biomass production, and other such topics of current innovation and interest, but which still require a large amount of research. Scientific research is conducted in partnership with agronomists, horticultural engineers, and academics. A number of projects provide well-suited settings for putting this research to the test, such as the Paris-Saclay scientific cluster.